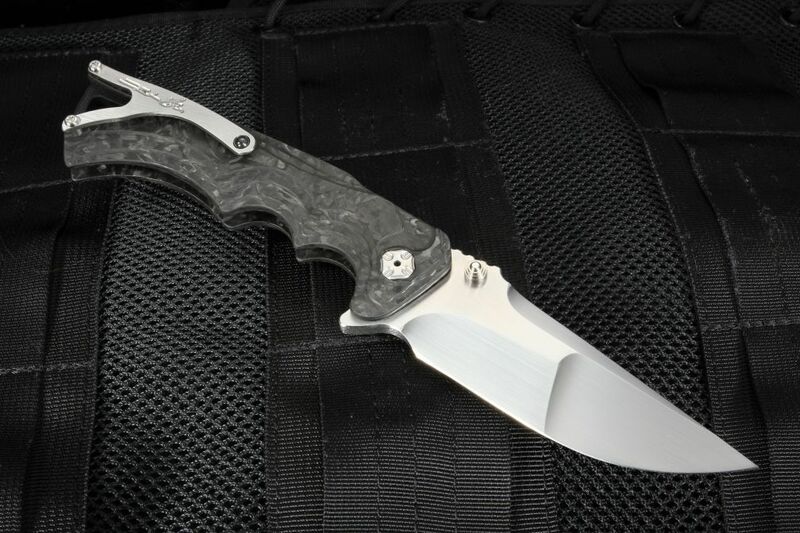 This Brian Tighe - Tighe Fighter in carbon fiber is extremely light for its size and strength. 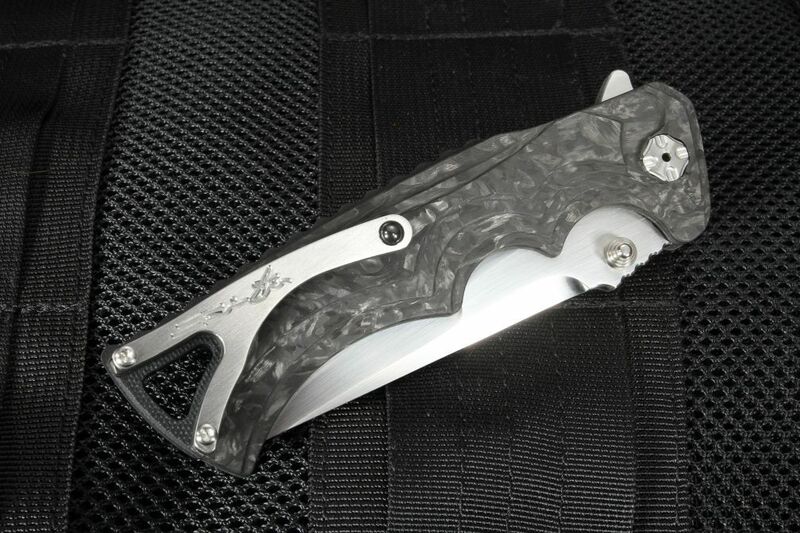 The blade is stainless RWL-34 steel with a razor sharp compound hollow grinds. 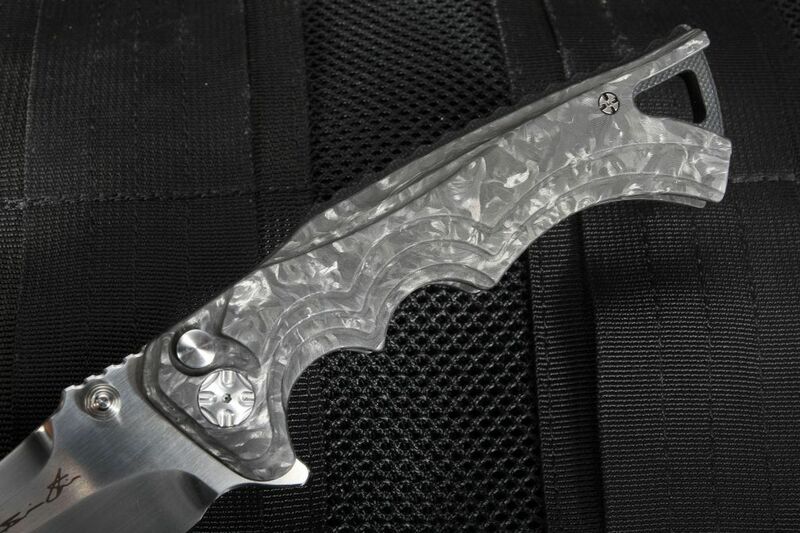 Blade is hand satin finished. Jimping on the thumb rest of the blade spine for added positive grip. Fast sealed bearing pivot. 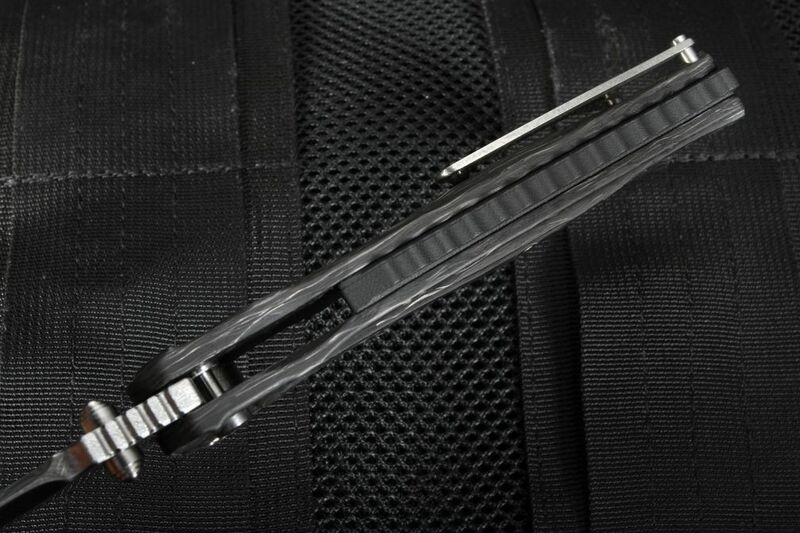 Dual thumb studs as well as a flipper for easy and fast right or left-hand opening. Flipper serves as an index finger guard in the open position. Solid button lock design. 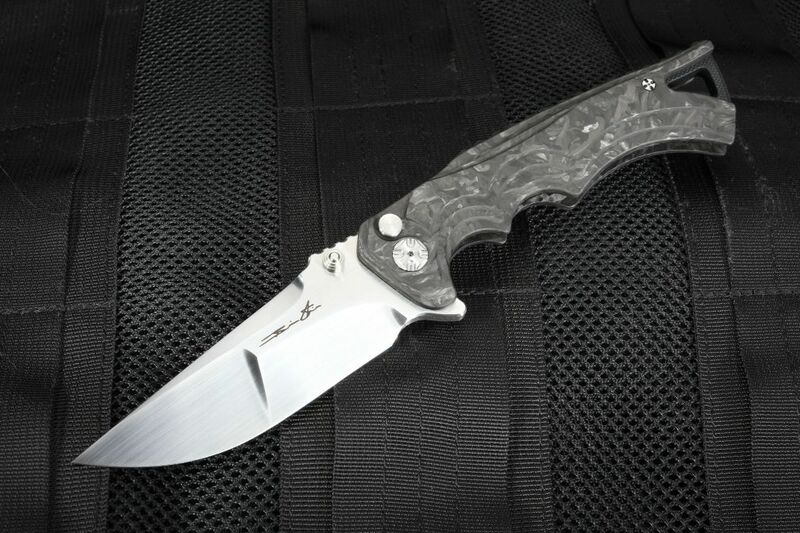 Carbon fiber Handle is machined for extra texture and grip. 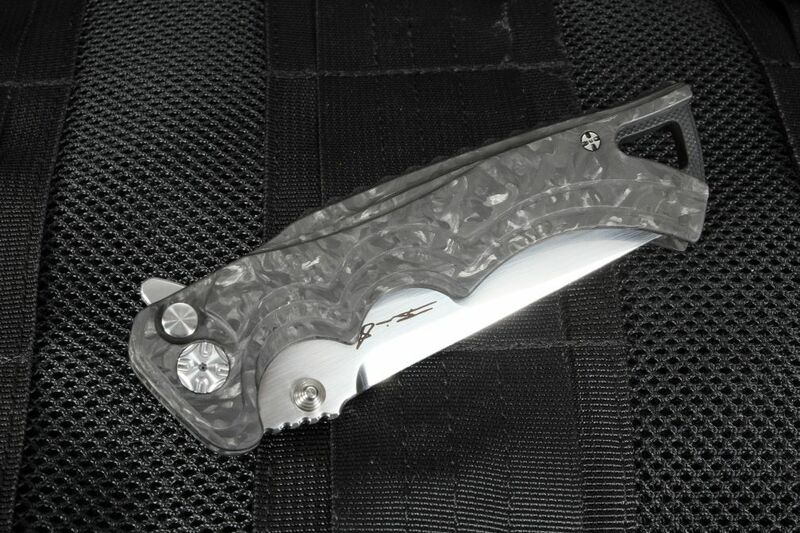 Anodized Titanium pocket clip mounted for blade tip up carry. Lanyard hole in the carbon fiber spacer.